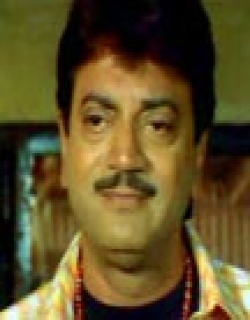 Agnitrishna is a 1989 Indian Bengali thriller film released on 1989. The film is directed by Prabhat Roy. Koushik (Ranjit Mallick) and his assistant Tripti (Rupa Ganguly) are doctors in an asylum. They love each other. 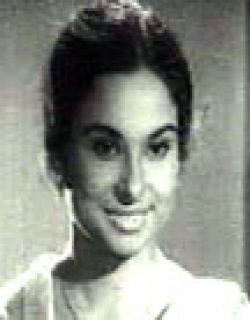 One day a mother Nirupamadevi (Madhavi Mukherjee) brings her mentally disturbed son Avijit (Chiranjeet) to that asylum. Avijit is also a well-known doctor. Avijit's passion for his job was disliked and misunderstood by his lover Sheela (Satabdi Ray). Avijit wants to invent a panacea for cancer. One day Sheela's father announces the marriage between Sheela and Avijit.At that time a call comes from Avijit's house that the guinea pig with which he is experimenting is dying. Avijit leaves for his home immediately. Sheela in her anger takes Avijit's research paper and burns it. When Avijit tried to stop her, Sheela accidentally gets badly burnt and succuumbs to the burns. This turns Avijit into a mental paitent. Kaushik thinks that good care and attention will help Avijit to recover. So he puts the latter under Tripti's care. However, this makes Avijit fall in love with Tripti. Kaushik is ready to sacrifice his love for Avijit's well-being. When Avijit comes to know of Tripta and Kaushik's love affair, he jumps off a cliff with the hope of being eternally united with Sheela. Check out this page for more updates on Agnitrishna. This page provides latest and updated information about Agnitrishna (1989) movie which released on 1989. Agnitrishna (1989) is directed by , produced by , starring .We have also provided 0 trailers and videos, 0 photos, 0 user reviews, and 0 critic reviews.You can review, like, dislike this movie and also can add to favorites. You can also find information on showtimes, CDs, DVDs, online rental, online free watching.